As a young artist, Myroslava has already had 10 successful exhibitions exhibiting her unique art form and special talents. While skilled young artists may attempt drawing icons, Myroslava has mastered the technique using straw, a skill mastered by only a select few. 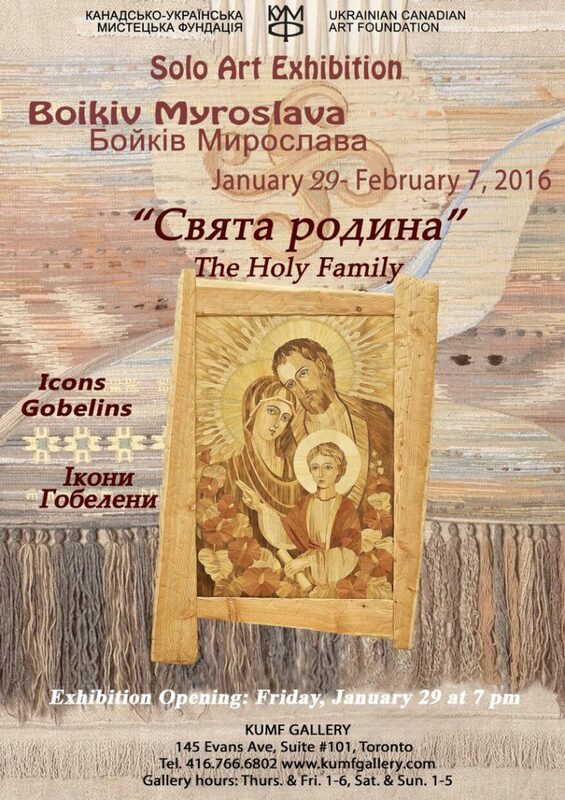 Myroslava’s straw paintings, icons and tapestries not only challenge our senses, but also remind us of another more spiritual world. These work are truly unique. Her works can be found in private collections across Ukraine and Europe. Myroslava Boikiv was born in the village of Kovalivka, Kolomyia district, Ivano-Frankivsk region. Her early interest in art led her to begin her studies at the Kolomyia Children’s Art School, and she then continued at the Kosiv College of Applied and Decorative Art (textile department), and Carpathian University in the name of V. Stefanyk (art department) . Upon completion of her studies, she held the position of Director of the Pysankа Museum in Kolomyіa for 10 years. During that time Myroslava organized over 10 “Pysanka” Art Exhibitions throughout Europe.